Stop by our beautiful model home in Mendon. We'd love to meet with you to discuss your building plans! C. M. Allaire is the building partner you've been searching for! 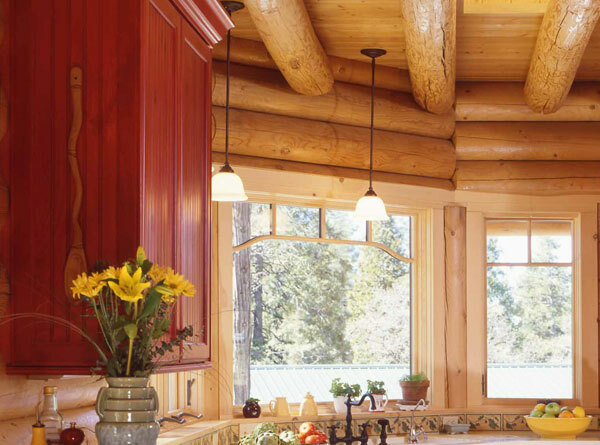 There are a variety of floor plans available through our partner, Real Log Homes. Whether you’re looking to build a cozy cabin or a larger home for entertaining, we’ve got you covered. 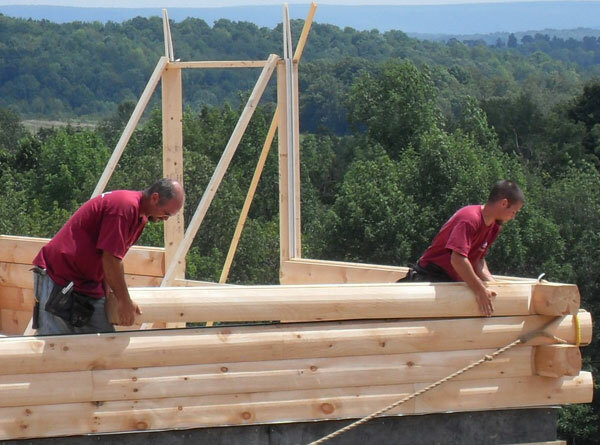 C. M. Allaire is dedicated to the construction of log homes in New England. So while other companies will sell you logs, we’ll partner with you to build your dream home. For over 45 years, C. M. Allaire has been building beautiful, high quality log homes across New England. Visit our Gallery to projects that we’ve worked on. 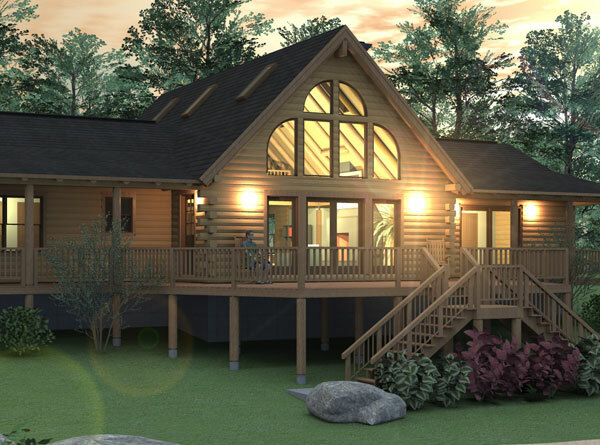 Tour our Model Log Home... in person or virtually! See why C. M. Allaire & Sons are New England's leader in log home design and construction! Our Model Home in Mendon, MA is open weekdays from 9am to 5pm with weekend viewings available by appointment. Or view photos of our model and take a virtual tour. We can't wait to show you our work! Why choose C.M. Allaire to build your log home? John and I want to thank you for all that you’ve done to make our dreams of an addition to our Log Cabin become a reality. The workmanship and work ethic put forth by all of you was beyond our expectations and the end result reflects it. We are so thankful and grateful that we met CM Allaire & Sons and Real Log Home Co. while attending a Log Home Show a few years back. We had dreamed for years of building a log home, but never really thought it would ever happen. Words can't effectively express how much we think of this company - we feel like we have lifelong ties and friendship. We are so happy and grateful we hired CM Allaire & Sons to build our dream home. During the design phase the staff was very professional. They answered all our questions and were very patient through the whole process. Hire the best, get it done right, you won't regret it. We recently decided to move forward with our dream and found a partner in C.M. Allaire and Sons. I am a licensed contractor and have built homes but know that building a log home has it own particular aspects. I not only approve the building quality but I highly recommend C.M. Allaire and sons for your log home project. The crew was knowledgeable and skilled. The office staff was informative and helpful. It is truly a family business. Just a short note of appreciation to you and your crews for the fine work they have been doing on our addition. For the past month, Roger and his crew, and now Dan and his crew have been working diligently, non-stop, through rain, snow and the cold. They have always been respectful, courteous and polite. They deserve to be commended for their fine work. It is much appreciated! Best decision I ever made was to hire CM Allaire , quality and workmanship is second to none and it's a great local company that will carry out all the work from day one right to the finish. Thank you David and the whole crew, we love our new log home! Looking to build a log home, but not sure where to begin?